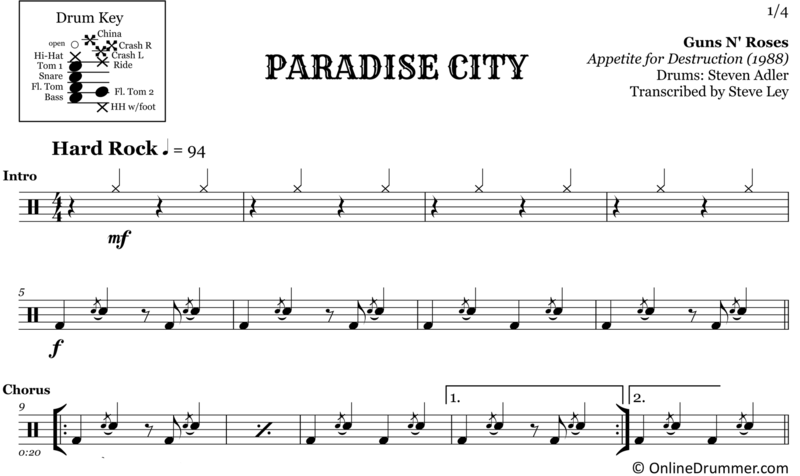 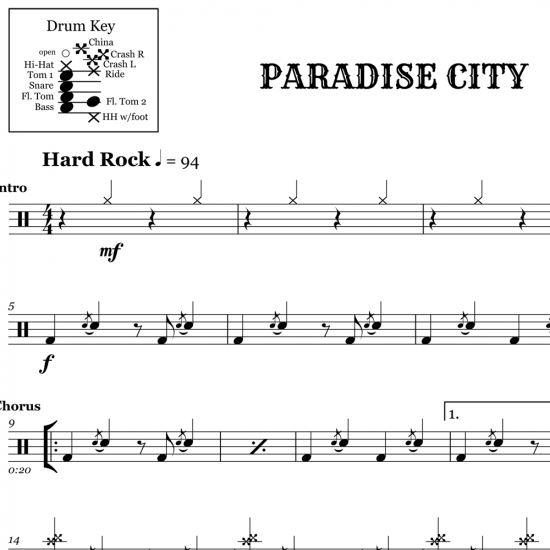 The full drum sheet music for “Paradise City” by Guns N Roses from the album Appetite For Destruction (1988). 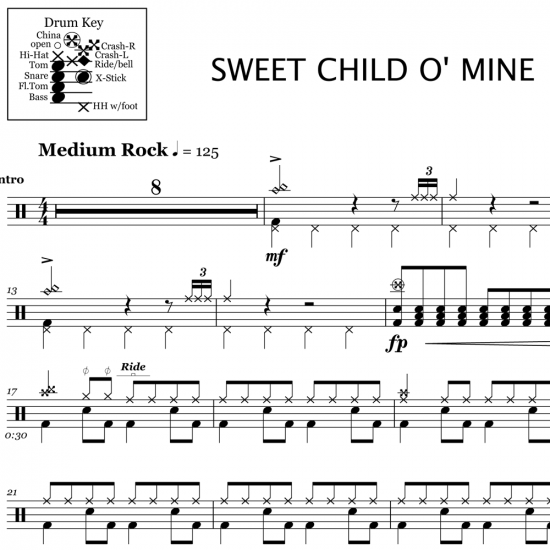 Steven Adler played a drum part that’s fairly laid-back at first but gradually builds into a full-on sprint by the end. 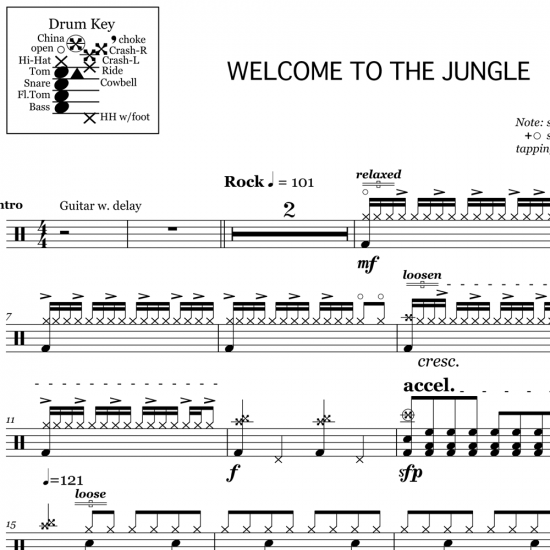 There are many gems throughout — valuable examples for every drummer to study. 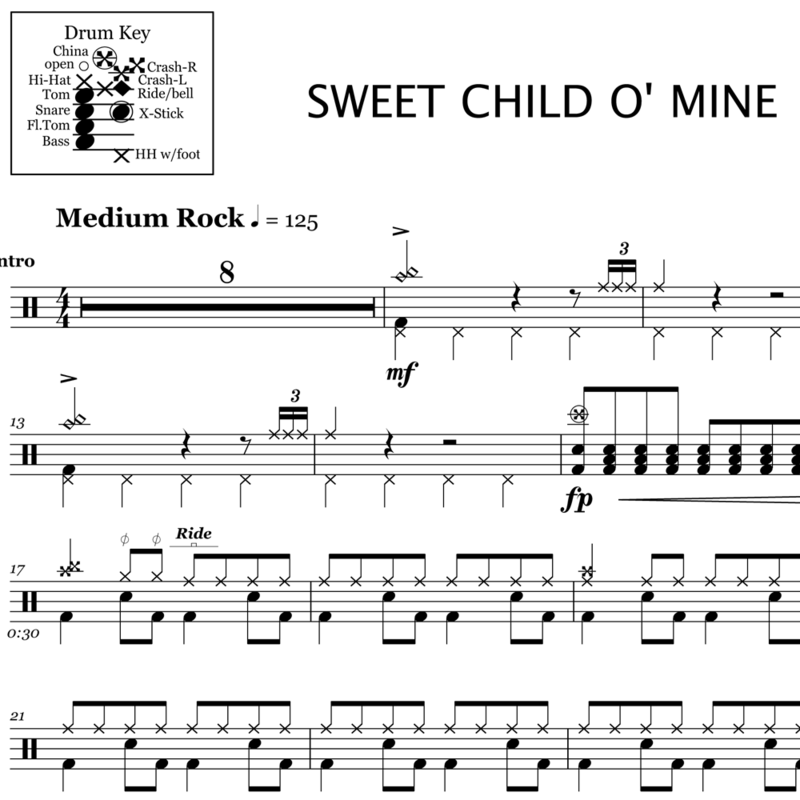 The full drum sheet music for "Sweet Child o' Mine" by Guns N' Roses from the album Appetite For Destruction (1987). 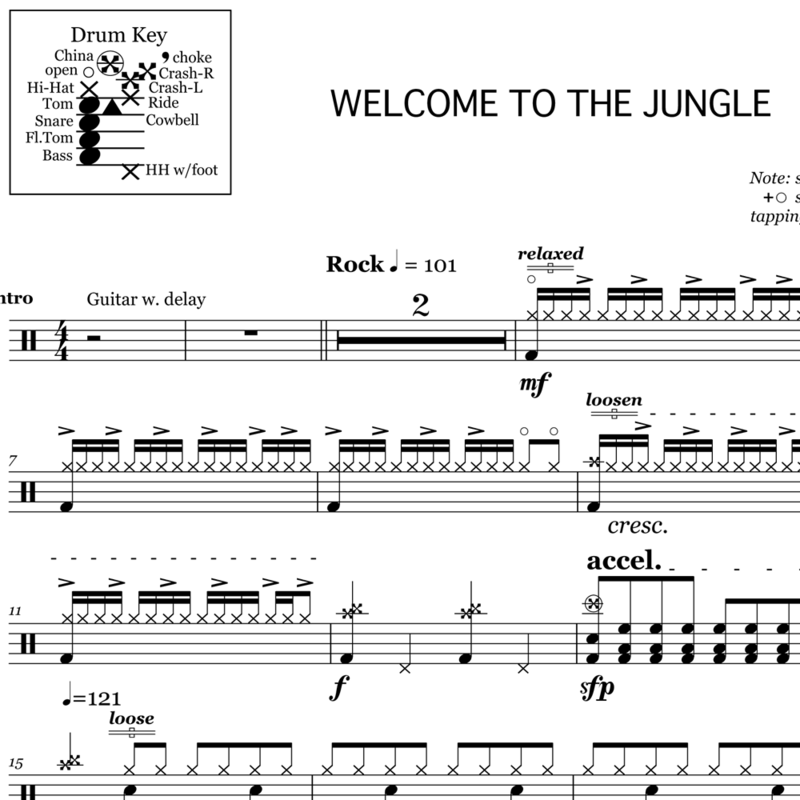 The full drum sheet music for "Welcome To The Jungle" by Guns N Roses from the album Appetite for Destruction (1987). 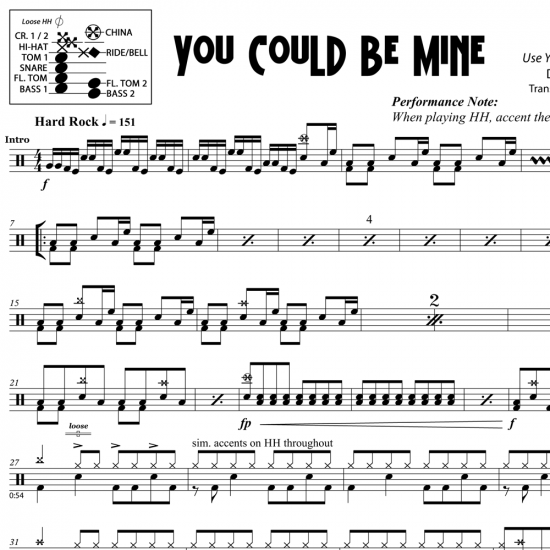 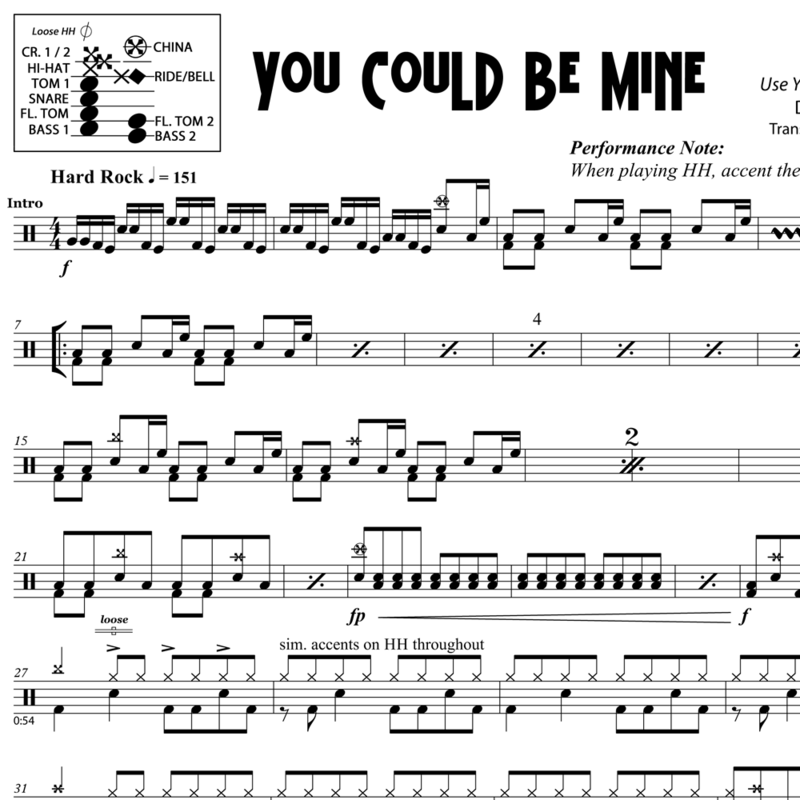 The full drum sheet music for "You Could Be Mine" by Guns N Roses from the album Use Your Illusion II (1991).